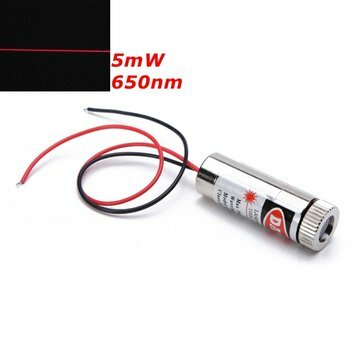 This 5mW red line laser module is suitable for industrial equipment usage such as concentricity and equipment positioning with stable output power and long lifetime. 1.This laser module has high output power,please wear goggles when testing or using. 2.The red cord is anode,the black cord is cathode.